Many traders find it tempting to place their trades early in the morning, close them in the evening for a profit, and repeat the same process day after day. Unfortunately, day trading can be a lot more challenging than this. Short-term timeframes hide many pitfalls which can easily accumulate losing trades, ultimately blowing your account. While day trading is an attractive and popular trading style among Forex traders, you’ll need to get familiar with how short-term timeframes operate. This includes which tools to use and how to place your stop-losses so that intraday volatility doesn’t negatively affect your trades. You probably already know what day trading is, but it doesn’t hurt to mention the main differences between day trading and other trading styles. Day trading is one of the main four trading styles. Together with scalping, swing trading and position trading. You can already see that day trading is a fast-paced trading style, although not as much as scalping where trades are held for seconds or minutes. Day traders, as their name suggests, hold their trades for one trading day. They usually scan the market early in the morning (with the London open, for example), and hold them open until they hit their profit targets or until the end of the trading day, whichever comes first. To achieve that, day traders need to base their analysis on relatively short timeframes – usually the 30-minutes and 1-hour timeframes – and use tight stop-losses of a few dozen pips at most. Later in this article, we’ll explain why this trading approach can cause headaches for many day traders, and what you can do to improve your day trading performance. First of all, this is not to say that day trading doesn’t work at all. There are many successful day traders out there, but it can be difficult to achieve consistent profits with day trading – especially if you’re new to the markets. Many beginners are attracted to day trading because it offers a fast-paced trading environment with many trading opportunities during the day. Short timeframes are also appealing to newbies, as most of them don’t have the patience and discipline to wait for days for a trade setup to confirm on the 4-hour or daily chart. While there’s nothing wrong about this trading approach, traders new to day trading have to bear in mind that certain market forces can decrease the probability of winning trades even if the chart shows a text-book trade setup. Have you ever seen a chart pattern breakout on a shorter timeframe, only for the price to immediately reverse to the previous trading range? Fake breakouts are notorious for day trading, and the tight stop-losses doesn’t help either in times when market news causes the market to spike up or down for dozens of pips. Why is day trading so hard? 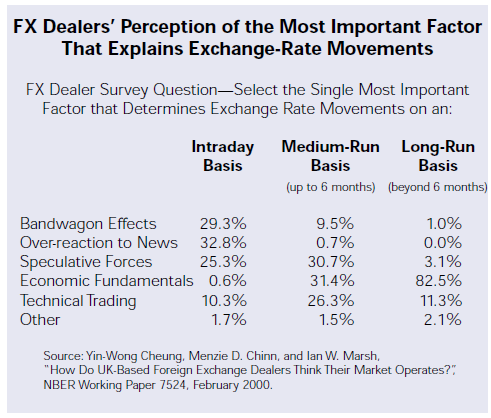 There are many reasons why day trading setups tend to underperform relative to longer-term setups. We’ve listed a few of those reasons below. There’s a lot of market noise on intraday short-term timeframes. 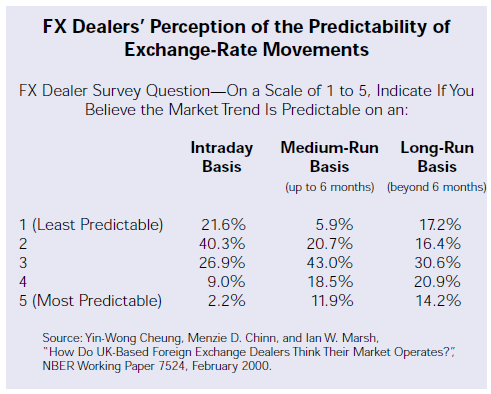 According to a research titled “How do UK-Based Foreign Exchange Dealers Think Their Market Operates”, intraday price-moves are the least predictable, followed by long-term and medium-term price-moves. Why is intraday trading so hard? Speculation and over-reaction to news are cited as the main reason why exchange rates move erratically on short-term timeframes. Day traders have to learn how to filter important price-moves from the unimportant ones in order to make money with intraday trading. Closely related to the low predictability of intraday price-moves is the unreliability of shorter timeframes. Markets tend to create fake breakouts on very short timeframes, which can trigger a position in the direction of the breakout only for the price to immediately return to its previous trading range. Experienced day traders are likely familiar with this phenomenon, which is another reason why traders should first pursue an excellent trading education before getting their feet wet in day trading. According to the same research mentioned above, bandwagon effects (i.e. crowd behaviour) tend to exaggerate certain price-swings and – in combination with over-reaction to news – create fake breakouts which may lead to losing trades. Short-term timeframes are also notorious for a strategy called stop hunting. Stop hunting is a practice, usually performed by unregulated and dishonest brokers, that attempts to force traders out of their positions by spiking the exchange rate of a currency pair to a level where a large number of stop-loss orders is placed. As a result of many trades that are closed at once, stop hunting usually generates large volatility in the market and can be noticed on higher timeframes as specific “spikes” and long upper or lower wicks on daily candles. While stop hunting is a problem on itself, it can also cause fake breakouts on short-term timeframes. Long-term traders who trade the daily chart would likely notice those fake breakouts as long upper/lower shadows on a candle and would avoid entering into a trade. 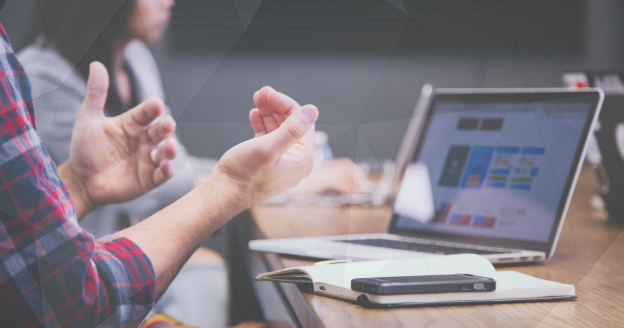 To avoid stop hunting and protect against other bad broker practices, make sure to only open a trading account with a trustworthy and regulated broker. That’s why we prefer CoreSpreads – a fully-regulated, UK-based CFD broker. And all your deposits are also protected by the Financial Services Compensation Scheme. Micro fundamentals, such as news, market commentaries and rumours, often have a large influence on intraday price movements. It’s not unusual for exchange rates to fluctuate for dozens of pips after the release of unexpected news. Those erratic price movements have a large chance to trigger your stop-loss orders of day-trades, only for the price to immediately reverse its path. As a day trader, you’ll have to deal with situations like these. Always bear in mind that crowd behaviour, speculation and over-reaction to news can have a large impact on price movements during a trading day. Day traders don’t hold their trades overnight. The currency market is not usually volatile – most currency pairs move less than 1% during a day, especially majors which are the most liquid pairs. Nevertheless, day traders may partly reduce the negative impact of not holding trades to their full potential by increasing their leverage. How do You Become a Professional Trader? Whether you’re considering to start day trading or simply want to increase your win rate, here’s what you can do about it. Despite being glamourised in the media, it takes dedication, education and experience to master the art of picking trades on short timeframes that have a high success rate. Tip #1: Pursue an excellent day trading education. First of all, you need to learn the various tools that successful day traders use in their trading. From technical tools to fundamentals, day traders combine a range of tools to filter the good setups from the bad ones. A high-quality day-trading course should be your first step towards excellence in this trading style. Trading Courses at My Trading Skills are exactly that – and they’re written and produced by professional traders. Even the best course won’t help you much if you don’t turn the theory into practice. Open a demo account and keep a trading journal of all trades you take during a day. After a few days, make a retrospective of all journal entries to find obvious patterns which led to losing trades. You’ll soon be able to identify high-quality trade setups in real-time, which will significantly boost your trading performance. And yes, our preferred broker – CoreSpreads for EU traders or Core Spreads Australia for those outside the EU and US – offers a free demo account which can be linked either to CoreTrader or MetaTrader 4 – the world’s leading trading platform!